Stanley Park High School in Surrey is an ever growing and very popular school. Having quickly grown from 800 to over 1000 students in the space of four years, it became clear that the school campus needed to grow with it. The school desired to remain small in feel but large in size, and has therefore split its campus into four schools centralised by a large atrium building. 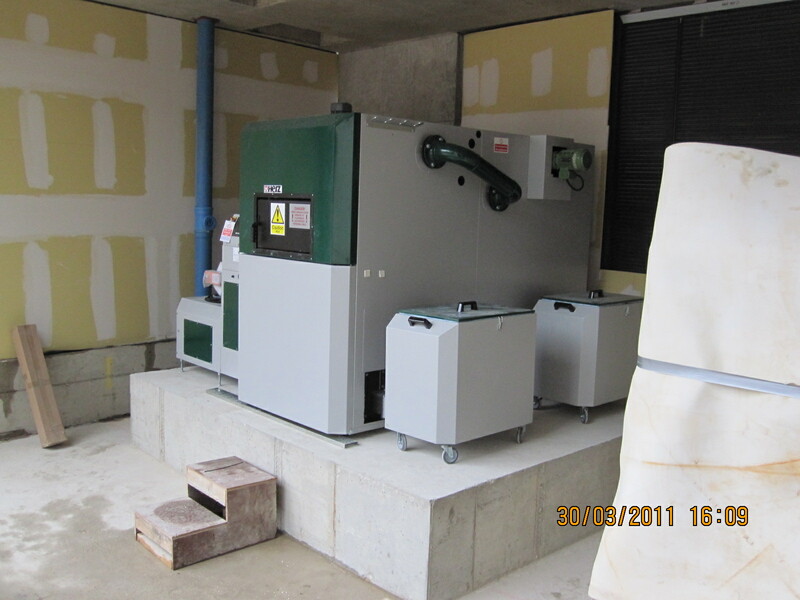 The heart of the school is now home to a Herz biomass boiler. 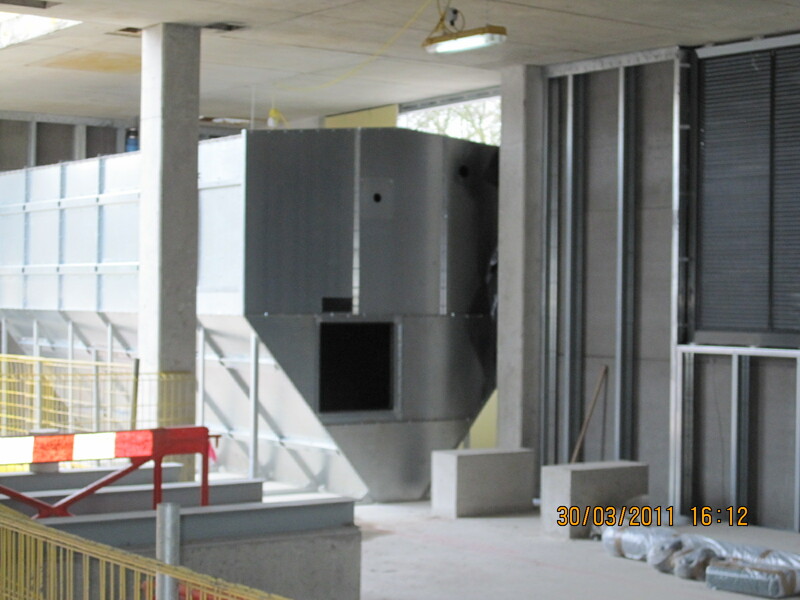 This school, with its central atrium constructed by BAM Construction, is now a carbon neutral brownfield site. From stage one the atrium design specified carbon reduction measures with improved insulation, natural lighting plus energy efficient heating and cooling, as well as renewable energy technologies including a biomass boiler. Through the construction supply chain BAM Construction contracted Rural Energy to design, supply, install and commission a 500kW Herz BioMatic biomass boiler. Rural Energy engineered a design that included unusually constructing a fuel store above the plant room. 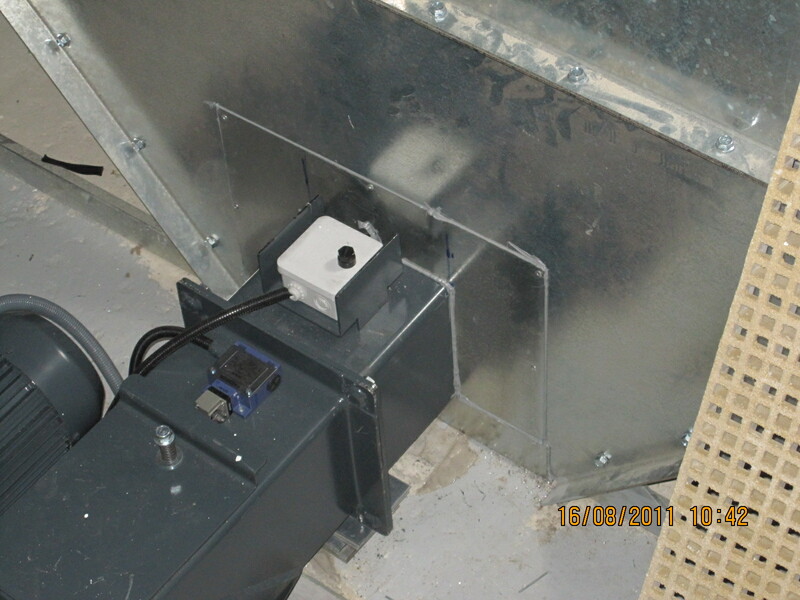 The Herz BioMatic combusts wood pellets, a decision made to overcome site access issues since pellets can be blown to fuel stores and to help reduce fuel delivery time on a busy school site. The fuel store itself is a prefabricated aluzinc v-profile silo and sits above the biomass plant room within the atrium building.